Just recently I purchased the 4th and 5th symphonies of William Grant Still. Very impressive! He seems to have his own harmonic language and a wealth of melodic inspiration. There is so much in this series from Naxos I don't know what to buy next. And at only 6 Euros apiece one can hardly go wrong. The archive is increasing by leaps and bounds. And it's about time that more attention is paid to American composers' output! Are these recordings easy to come by in the United States? Jack Kelso wrote: There is so much in this series from Naxos I don't know what to buy next. And at only 6 Euros apiece one can hardly go wrong. The archive is increasing by leaps and bounds. And it's about time that more attention is paid to American composers' output! I do agree, Jack. Just where to wade in? They're available in the UK so presumably in America. I'm not sure but I think they took over some of the Delos American catalogue. All the same, nice to have a series devoted to American composers. Across time, though, many Americans not quite in the mainstream like Copland or Bernstein have been recorded. It's a great shame that the "First Edition" reissues of the Louisville series were curtailed. Though the sound sometimes left a bit to be desired there were some interesting presentations. It was through the series that I happened upon composers like Persichetti, Mennin, Creston et al. I was about 14 when I tumbled on Creston's Invocation and Dance. I have not seen this series in stores, but ordering from Amazon or Naxos Direct has worked for me. I have at least one disc in this series by Glass, Diamond, Cage, Barber, Hovhaness, and Ives and they all have been good finds. They are readily available in the USA, provided you can find a store that still stocks classical CDs. And [not in the Am Classics series] Schmidt's Symphonies 1 & 2. I too welcome this series. Can I pose a nasty question though for US readers? British labels like Chandos & Hyperion do the lesser known British composers like Rubbra & Bantock proud; Similarly BIS for Scandanavians & CPO for Germans. Why as far as I can tell do none of the US labels do the same for US composers? American record companies do record American music just like the Brits and other Europeans do their own music. Just off the top of my head I'd suggest you might try the Albany, Delos, New World (formerly CRI), Dorian and Nonesuch labels, as well as the burgeoning Naxos American series. I'm sure other members here can suggest other labels. For me the Hovhaness series is invaluable, bringing more of this fascinating composer to light and showing that he simply did not recompose the same work over and over. Also worth exploring: the William Schuman symphonies, the ongoing Roy Harris symphony series, Marin Alsop's Barber and Slatkin's Leroy Anderson series. Donaldopato wrote: For me the Hovhaness series is invaluable, bringing more of this fascinating composer to light and showing that he simply did not recompose the same work over and over. Anyway, all seriousness aside, I couldn't agree with this statement more: "And it's about time that more attention is paid to American composers' output!" Though I'm pretty sure my list of composers would be ever so slightly different than Naxos'. Omigosh, Chalkie! Does that mean you're scand---er, I mean "sandalous"! Are they really made of discarded Russian newspapers? absinthe wrote: Are they really made of discarded Russian newspapers? If I'm looking at the right site then their selection is actually shockingly limited (I have at least the Wuorinen Sextet). It is hard to know what other than opportunism accounts for this selection as opposed to some other. Many American composers besides the obvious have fairly extensive discographies, but it is generally a mistake to look for anything approaching completeness on any one label. And of course, multiple recordings of most things are an extreme rarity. jbuck919 wrote: If I'm looking at the right site then their selection is actually shockingly limited (I have at least the Wuorinen Sextet). It is hard to know what other than opportunism accounts for this selection as opposed to some other. You're right, John. But we have to take what's out there---and NAXOS has made a valuable contribution. How many recordings are there of Copland's great Third Symphony? How about a complete set of Walter Piston's symphonies!? Where can we find recordings of Peter Menin's best works? It IS a beginning---at least. Naxos American Classics reissued the Delos Schwarz/Seattle Piston 2, 6 and 4 but apparently there is nothing else from that source. It would be great to have new recordings of the remainder, most of which are only represented by the scrappy, sonically challenged Louisville recordings. A new Mennin set would be nice as well as a chance to hear Menotti's symphonies. Donaldopato wrote: Naxos American Classics reissued the Delos Schwarz/Seattle Piston 2, 6 and 4 but apparently there is nothing else from that source. It would be great to have new recordings of the remainder, most of which are only represented by the scrappy, sonically challenged Louisville recordings. I believe this is the latest Naxos American Classics series catalogue. Not bad at all! pizza wrote: I believe this is the latest Naxos American Classics series catalogue. Not bad at all! Thanks for including it here, Pizza. The catalog comes with an occasional purchase as well. One of my all-time favorite American symphonies is Peter Menin's Fifth (on Mercury), but I would welcome a second recording---and from Naxos! Apparently, Naxos has issued nearly ALL of the William Schuman symphonies. I'd rather have the complete symphonies of Walter Piston, however. Any Wm. Schuman fans out there...?! I find many of his symphonic movements rather arid.....! I am with you and much prefer Piston and Mennin to Schuman. Piston was always dismissed as "dryly academic", a description more fitting of Schuman in my humblest opinion. Donaldopato wrote: Piston was always dismissed as "dryly academic". This has been mentioned a couple of times recently on forums. Very interesting thread. I always wondered the same thing. I really enjoy the wonderful cd of some chamber works by the latest Pullitzer award winner Jennifer Higdon. I'm not sure if she has a fan club here on CMG but if possible I would like to be the president of that fan club . We get to hear Ms. Higdon's "The Singing Rooms" a piece for Violin, Chorus and Orchestra this weekend with the KC Symphony and Jennifer Koh as solo violin. She has not composed a Symphony but her "blue cathedral", Concerto for Orchestra and Percussion Concerto are great pieces. Donaldopato wrote: She has not composed a Symphony but her "blue cathedral", Concerto for Orchestra and Percussion Concerto are great pieces. I know all these pieces and I second your comment about them. Strongly recommended to all. Apparently, he wasn't that "dry" when immersed in Paris' night life. A very fine composer, indeed. 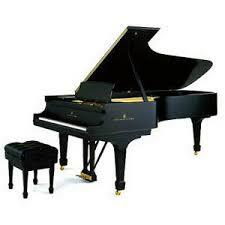 Chamber music, concertos and symphonies are all worth a place in one's collection. I read his biography some time ago and do recall that he felt especially disturbed by the critique that his music always sounded the same -- hear one symphony and you have heard them all type of comment. On the other hand, he was not one to compose on the spur of the moment, following an inspiration. Most of his works were the products of commissions. He likely saved ideas and melodies on scraps of paper which he stuffed into a drawer (alla Richard Strauss! ), just waiting for a commission to come along.. The very first Piston works I learned (I was 18) were "The Incredible Flutist" (including the barking dog at the end!!) and the highly melodic and exuberent Sixth Symphony. 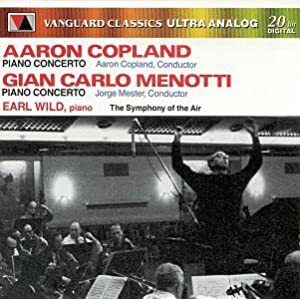 He, Copland and Mennin are probably overall my favorite 20th-century American composers. I've also come to enjoy Chadwick's orchestral music, especially the 2nd and 3rd symphonies. The 2nd reminds one of Dvorak's 9th quite a bit....but was composed BEFORE the Dvorak, which probably means that Dvorak had heard it performed once. ....and Naxos has done a very fine job of exploring MacDowell's work in more depth. And now, Jack, we're eagerly waiting for your token tirade on the man. I'm always amazed at how many people who report loving The Incredible Flutist have only heard the suite. There's a whole ballet out there. It's only been recorded once that I know of, but it's a fine recording, and it's full of some really splendid music that didn't make it to the suite. As of this posting, Amazon US had nineteen available, starting at $4.74. The suite is very nice. It was my first Piston, too. The ballet is more. some guy wrote: I'm always amazed at how many people who report loving The Incredible Flutist have only heard the suite. Yes, I do have that 1976 recording. It's very close to twice the length of the suite. Wallingford wrote: ....and Naxos has done a very fine job of exploring MacDowell's work in more depth. I have absolutely nothing against MacDowell---he just doesn't impress me as much as some of his contemporaries. His piano concerti and orchestral works are written in a contempory style consistent with that of Raff, who also composed some of the more interesting symphonic inspirations of the late 19-century. MacDowell impresses me somewhat less than Raff---but there are nonetheless some fine ideas there. For anyone interested in New Music, Naxos is now doing fulfillment for Innova http://innova.mu, The American Composers Forum. Me ... I'm a big fan of Edward MacDowell. He did much for music and aspiring musicians and gave America some priceless solo piano music and two gorgeous piano concertos. Indeed, I have quite a number of Naxos's American Classics series and have greatly enjoyed most of them. Naxos has done a great service to American music with this series, which seems to be very active all around the world. I've been listening to alot of these Naxos releases recently - mainly the Schuman symphonies, but some of the Diamond syms as well. I'm wondering if anyone has heard the Schwarz/Seattle Schuman Sym#3?? this is of course, a great piece - the greatest American symphony, IMO. the competition is indeed stiff - with Bernstein/NYPO producing two - CBS from 1960, and DG from 1985. the early one is a real classic - Slatkin/CSO recorded it also, from a live performance 1986, on archival set "CSO/20th Century"
Both recordings are superb - featuring great playing and inspired conducting of this masterpiece...this symphony requires major-league "chops" all the way, from the orchestra - same magnitude as Mahler, Strauss, Stravinsky, etc. I have the early Bernstein, recorded on 10-17-60, along with his recordings of the fifth (10-20-66) and the eight (10-9-62). October was Schuman's month back then! Yes, the Schwarz does not quite measure up but it's a good backup. Mention has been made of Albany records and rightfully so. I have run into their own youtube clips searching for certain works. They are using youtube as a promotional tool, uploading only one movement from each work. Their site now features over 50 uploads which include movements from Roy Harris' 11th symphony, Douglas Moore's 2nd, Effinger's Little Symphony, Don Gillis' 2nd, and Benjamin Lees' 2nd, in addition to many non symphonies. piston wrote: I have the early Bernstein, recorded on 10-17-60, along with his recordings of the fifth (10-20-66) and the eight (10-9-62). October was Schuman's month back then! Yes, the Schwarz does not quite measure up but it's a good backup. Bernstein for #8 - which is powerful...It took me awhile to connect with this work, but I'm glad I stayed with it. with Harris - I just picked up the syms 5 and 6, on Naxos [Schwarz] the pieces don't send me too much [yet]. I've yet to hear any Harris symphonies that rival his #3. Last edited by Heck148 on Wed Jun 09, 2010 10:45 pm, edited 1 time in total. It would be great for Naxos to finish the Diamond series, there is only 1, 2, 3, 4, and 8 out of 11. Nobody talked about Creston. Not a bad symphonist, really. Donaldopato wrote: It would be great for Naxos to finish the Diamond series, there is only 1, 2, 3, 4, and 8 out of 11.
yes, for sure - Diamond #5 is very good - I have a tape of a CSO broadcast - Michael Morgan cond - 10/90 - very fine work. The Grofé disc is great fun, there is a second one too with other suites including the popular Grand Canyon Suite and the spectacular "Niagara Falls Suite"". What a master of the orchestra he was.